SHOP MEN of RARE: The Calendar! 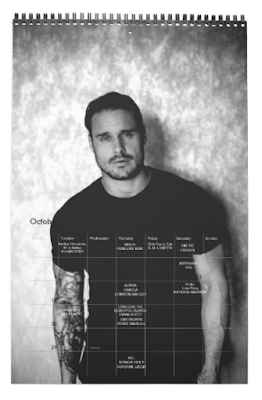 14 NEVER-BEFORE-SEEN PHOTOS BY PHOTOGRAPHER FRANGGY YANEZ + NEW RELEASE DATES AND BIRTHDAYS OF YOUR FAVORITE RARE AUTHORS! Are you ready to buy your #RARE18Rome tickets on 5 August 2pm Rome time? This book was previously published in 2014. It has been re-edited for this release and a smoking hot new cover! Available on iBooks, Nook, Kobo and Google Play from July 27-31st only. Fans of The Selection and The Hunger Games will discover a heart-pounding thrill ride of espionage and suspense set in glittering high society. Tickets sold through Eventbrite. Have PayPal set up!! 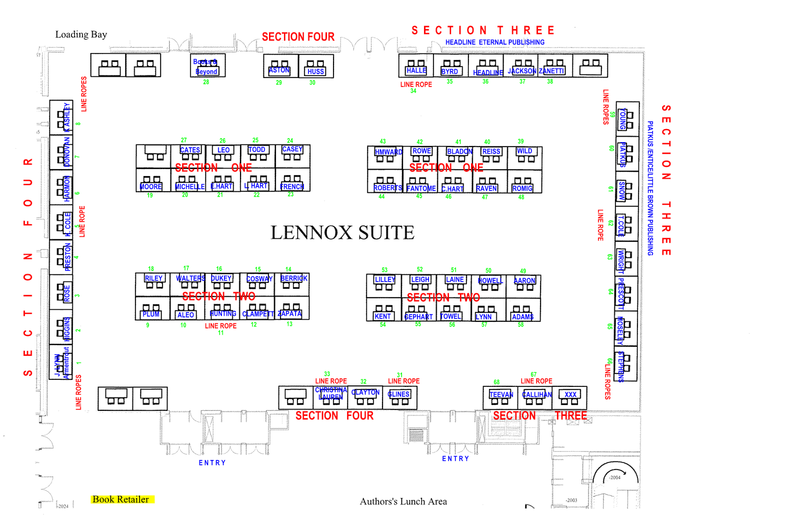 Only 1 ticket is needed for the day either the General Admission ticket or the Early Entry ticket. There will only be 50 Early Entry tickets. If you volunteer for the entire day you will enter early. All volunteers /assistants must be ticketed. The website will let you book your room from 22 to 24 June 2018, but our room block rates are available also 3 days prior and 3 days after the event, so if you want to extend your stay, just PM Elisa Wang your reservation number and number of night you want to be added. 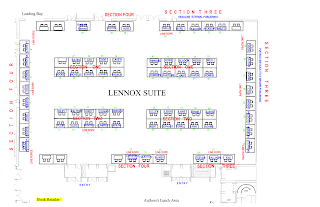 Our room block include breakfast. It is instrumental for us to reach Italian readers therefore instead of one official blog we are opening it up to all blogs and hopefully many Italian ones!! 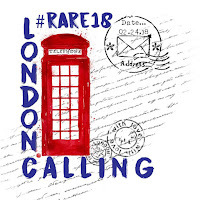 A RARE blogger group is already available please make sure to join if you want to share in the excitement of all things RARE18. We also have a RARE Reading group where authors and organizers post free books and ARCs for honest reviews. Please join us there as well. All graphics and the line up will be in the pinned post. Feel free to use them on all social media. Parties/meet ups will not be posted u til we see how ticket sales go. We will need volunteers especially those who speak both English and Italian. It is not required though so no worries! That's a wrap for today. We still have some pending invites and they will be posted ASAP!! We always like to confirm 3 times with the authors , once done we will post! Please know we appreciate and love the support you continue to show RARE. YOU are part of the RARE family and we do this for you!! We hope you can join us in Roma!! Controllate sempre il post fissato in alto! I biglietti verrano messi in vendita su Eventbrite. Mi raccomando, create un account in anticipo sia su Eventbrite che su PayPal, perché il pagamento può avvenire solo tramite PayPal. E’ necessario essere in possesso di 1 solo biglietto per l’intera giornata, o GA o EE (non c’è una suddivisione tra mattino e pomeriggio nei biglietti, ogni biglietto dà diritto ad entrare per l’intera giornata. Come già detto, l’unica differenza riguarda l’orario di ingresso). Saranno messi in vendita soltanto 50 biglietti Early Entry. Chi si offrirà come volontaria/o per l’intera giornata, avrà diritto ad entrare prima con i possessori dei biglietti EE. Tutti i volontari/assistenti devono essere in possesso di un biglietto. L’evento si terrà allo SHERATON ROMA HOTEL & CONFERENCE HOTEL. Il sito a noi dedicato (vedi link sovrastante) vi permetterà di prenotare una stanza dal 22 al 24 Giugno 2018, ma il prezzo che siamo riusciti ad ottenere per il nostro blocco camere è in realtà valido anche per i 3 giorni precedenti e successivi l’evento. Quindi, se volete prolungare il vostro soggiorno, mandate un messaggio privato ad Elisa Wang indicando il numero di notti aggiuntive, il vostro numero di prenotazione e il nome che avete usato per prenotare. Il prezzo per ogni camera è comprensivo di prima colazione. E’ fondamentale per noi farci conoscere ai lettori e lettrici italiane, quindi, invece di un solo blog ufficiale, abbiamo aperto la possibilità di aiutarci a tutti i blogs, sperando nell’aiuto anche di quelli italiani! Abbiamo anche un RARE reading group, dove autrici e organizzatrici mettono a disposizione per voi lettrici libri gratuiti e ARC (Advanced Reader Copies) in cambio di una recensione onesta e veritiera. Siete invitati a fare parte anche di questo gruppo! Potete trovare nel post fissato in altro tutti i badges, banners e la lista delle autrici che verranno al RARE18 Rome. Potete usarli liberamente nei vari social. Informazioni riguardanti i parties pre e post evento principale non saranno comunicati se non dopo aver visto l’andamento della vendita dei biglietti per il signing event. Avremo bisogno di volontari anche per questo evento, specialmente chi conosce e sa parlare sia Inglese che Italiano! Ma non è obbligatorio, quindi non preoccupatevi. E questo è quanto per oggi! Abbiamo ancora qualche autrice con un invito in sospeso (quindi che abbiamo invitato ma che non hanno ancora confermato al 100%). Vi faremo sapere al più presto! Preferiamo sempre confermare più volte prima di annunciare la partecipazione di un’autrice, ma pubblicheremo subito i nomi una volta confermati al 300%. Speriamo vivamente di vedervi a Roma! Surprise event the beginning of 2019!! Because , why not? Titles/books traditionally published in Germany will be sold through a pre order system. All orders will be placed, RARE will invoice each order through PayPal , and all orders can be picked up at the event. Titles/books independently published through the author are available only through the author's pre order forms. If you did not pre order through authors or through RARE please make sure to bring any books you want signed by the author with you. Pre ordering and or bringing books with you will prevent you from being disappointed should you not get the books you wanted. Several publishers are providing books for FREE!! These books will be available at their authors table. Make sure to ask the authors if they have books for sale or to give away. This is also a great way for you to find new authors. If you plan on joining us 17 June in Berlin, make sure to buy a ticket!! Finally please make sure to tell all your book friends about the event as tickets are still available. 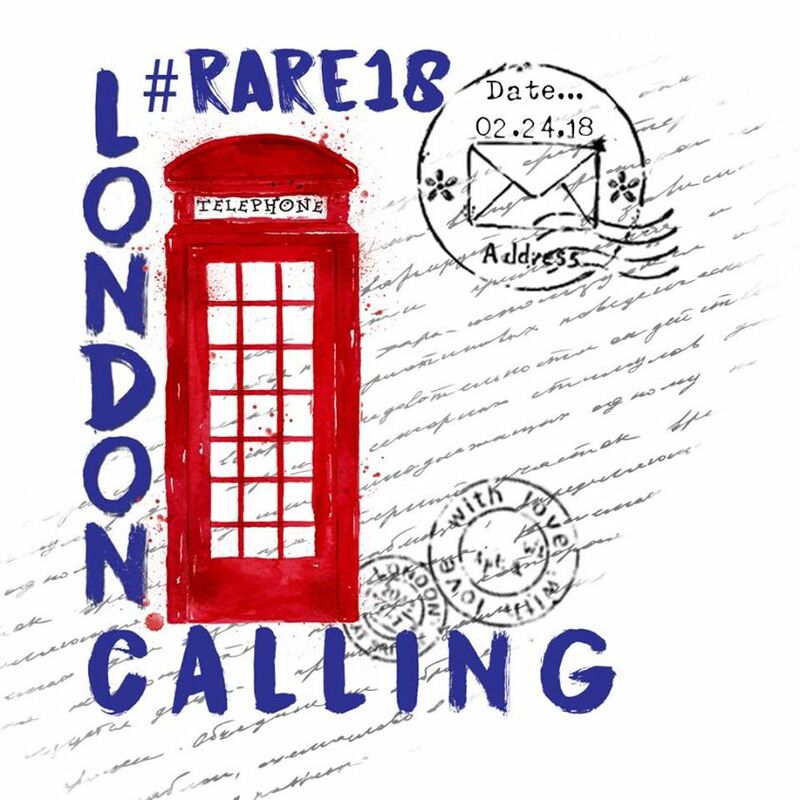 Join us for a mega massive RARE in London 24 February 2018. You never know if more authors will be added or tickets released. Join 120+ of your favorite Romance authors from around the world and 1200+ of your closest book friends. EEEEEP DID YOU SEE THE NEW ADDITIONS? 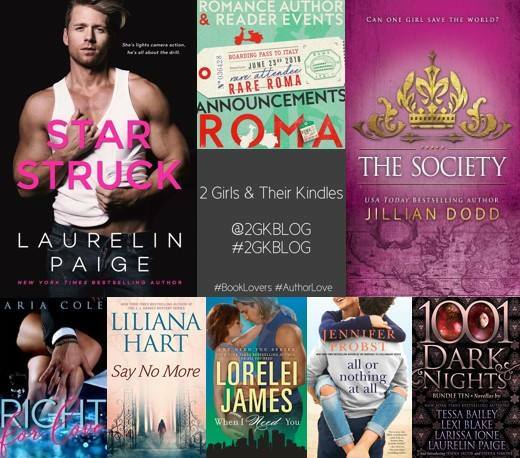 We've added some favorites and some authors you SHOULD know! 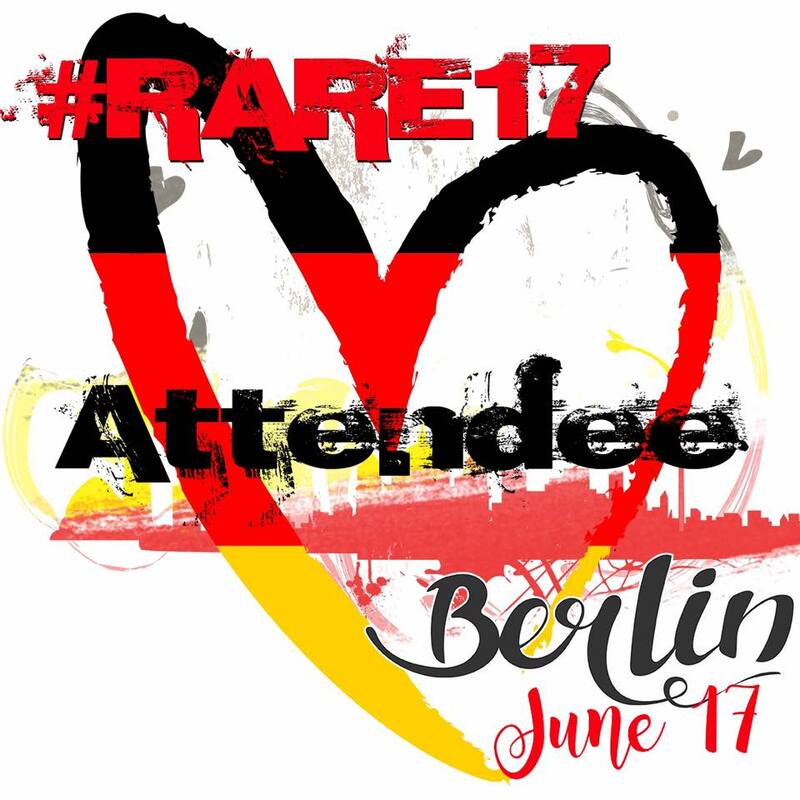 RARE is proud to present the exceptional talent joining us for RARE17 in Berlin. Romance Author & Reader Events presents #RARE17 Berlin 17 June. Spend the day with all your favorites. 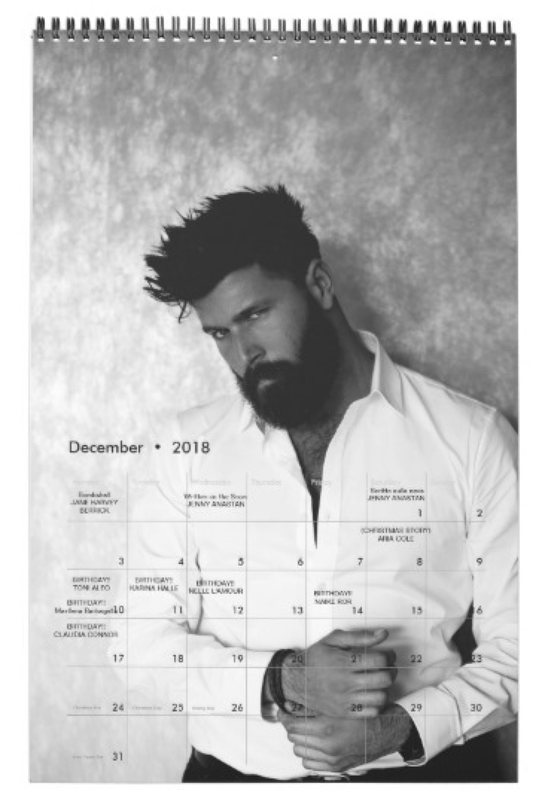 Contemporary, YA, PNR, Fantasy, NA, Suspense, Erotica.